The new year is upon us, and 2018 brings with it the opening of our exciting new Arts building, which completes construction this summer. Its advent means we will welcome the arrival of our Broadstairs campus colleagues and students, who will be joining us on Canterbury campus permanently this September and take up residence in the building. To commemorate this event through our Graduate Stories feature, we are sharing, in particular, interviews from alumni who studied on the programmes originally housed in Thanet (Commercial Music and Creative Music Technology). The fifth of these special interviews, for the month of May, comes from Josh Magill, who has been kind enough to speak with us. 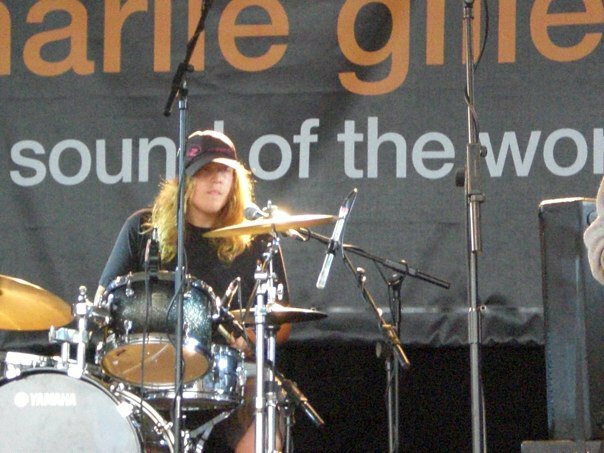 Josh is an exceptional drummer and graduated in 2012, completing a degree in Commercial Music, the same course on which five years before his brother Joel (bass guitar) had studied. Since then, Josh, with Joel and, another brother, Liam Magill came together to form the current line up of progressive rock bank, Syd Arthur along with fourth member, Raven Bush. The band has gone from strength to strength and explores the myriad possibilities of improvisation, taking an exceptional approach born of prodigious musicianship, elemental songcraft, and an unabashed spirit of adventure. Tell us about your current role(s) – what does it entail? I’m currently a full time musician playing drums for Syd Arthur and Bison Bonasus. I’m also a songwriter for my own solo music and I write songs for other artists as well as being a session drummer for various recording projects. It’s hard to explain what I went through during the Radio City show as it was more or less an outer body experience. The venue is huge. I just remember seeing hundreds of exit signs on the back wall from the floor to the ceiling. Whilst I was performing all I could see is the black abyss as all the stage lights are on you preventing you from seeing the audience. At the end of each song they would light the crowd and that’s when you got to take in the enormity of the audience, it was scary. I took a deep breath and a swig of my beer and got ready for the next tune. It was intense. After finishing that show I felt on top of the world and that I could do anything. 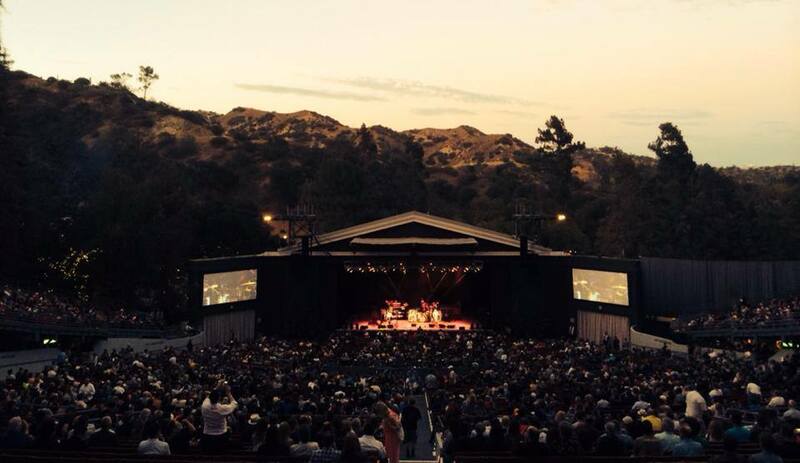 By the time we finished the tour at The Greek Theatre in Los Angeles nothing phased me. Taylor Hawkin of the Foo Fighters was at that gig and he came and found us after the show to congratulate me. This was an amazing moment as I had grown up being a massive Foo’s fan and he was into the band and my playing. What a legend and such a nice guy. I have so many stories and anecdotes from that tour, it’s not possible to fit it all in here. Since that tour we have been all around Europe and back to America to record the third Syd Arthur album in L.A which is titled Apricity. We also toured America again with Jake Bugg for five weeks which was great fun and an amazing experience. 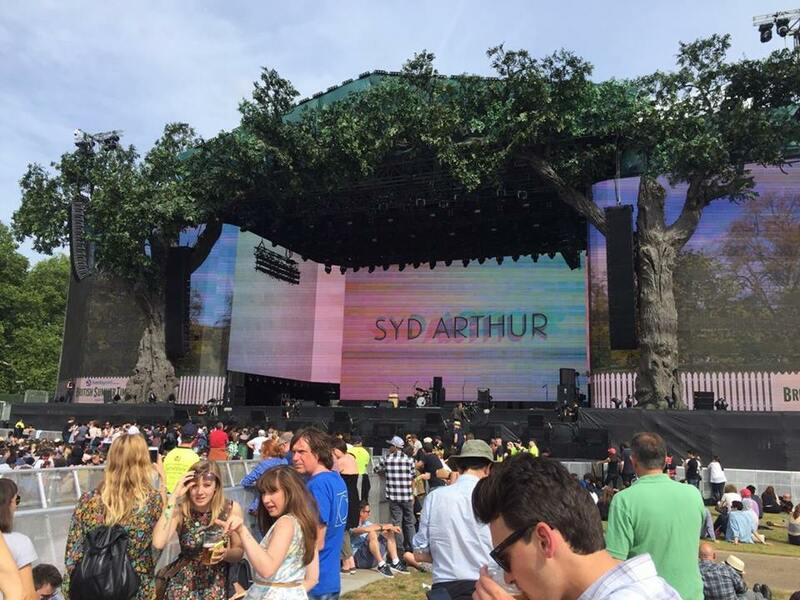 We opened the stage for The Strokes and Beck at BST Hyde Park which was a massive tick off the bucket list of gigs and played Glastonbury the last two years. It’s been a blast. Just doing it and getting involved. Writing songs that you believe in and performing with unbelievable musicians. Getting the opportunity to play to massive crowds and rub shoulders with some of the greats. These people really are reachable and most of them live in Los Angeles. You find yourself in situations that you could only dream of and that’s where you network and they find out about you. At the end of the day they are all just human beings and as long as you can hold your own in a conversation then you can slip into the scene as if you had always been there. As far as I’m concerned you’re always working. From the day you pick up the sticks or sit at the keys or hold a guitar you are on a journey. You can only do the degree if you’re a competent player/musician so the work started a long time ago. I suppose it was kind of smooth sailing but, you know, you make your own luck. You aint going to get the gig if you can’t do the job. It takes time, dedication and experience. I’ve been playing live all around Kent and London for years and years and was very much encouraged, even at school, to perform in front of audiences- this can only help to add to an individual’s knowledge and experience. Getting out there and saying yes to almost everything until you’re in demand, that’s how you do it. Say yes to everything at first. Make sure you’ve got the chops and you’re on top of your game. Have a style don’t just regurgitate someone else’s vibe, its boring. Love what you do, because if you don’t it’s not going to work. Stay focused and set yourself goals or you can get bogged down in the hype. In terms of being an artist it’s important to remember that the industry is such an illusion. You can spin all sorts of things just using social media these days and you may have recorded or filmed that thing two years previously. It’s all about content. Get yourself into a good position with as much content as possible i.e. photos, recordings, live sessions, artwork, social media, music videos etc. etc. and then have a strategic plan of how you’re going to get it out there into the public domain. Build your vibe and keep adding to it without saturating what you’ve already got. Have an identity. It’s not what it is, it’s why it is; you know? People don’t buy the product, they buy the brand: identity is key. In many ways I suppose. I felt the course was very well structured when I was there. It’s good to have access to the various tutors and the knowledge they bring from their own experiences and passions. They are all experts in their particular area of music from advanced jazz theory to film music, they all brought so much to the table and I learnt a lot from that. Being at University is about doing course work and exams but it’s also about being around passionate people, having access to a wealth of knowledge, having interesting conversations and discussions on subjects you hadn’t delved into before and finding yourself and what you’re passionate about. One of my favourite memories was to meet Bill Bruford who was invited in to do a talk to all the music students. He is such an inspirational drummer/ musician and I couldn’t believe I got to meet him after. I invited my little brother along to the lecture, even though he was still at school, and we both got our King Crimson records signed. Bill spoke a lot about when he was in YES, little did I know three years later I would be on tour supporting YES across America, what are the chances of that.